Note: The Express Shuttles do not require the May 24 registration to ensure bus service by the start of the year. In order for your child to receive transportation on the first day of school, register your child at his or her school prior to May 24. Transportation is available for those students who meet the transportation eligibility requirements. See the registration procedures for information about what to bring with you when you register your child. If your child is continuing at the same school, you can register online through ParentVue! If your child will be attending a new school, and you register your child after May 24, then transportation may not be available for the first three weeks of school. We will provide a transportation route to your child as soon as possible, and we will notify you of your child's bus stop assignment when that information is available. If you want to be sure that your child has transportation on the first day of school, register your child at his or her school prior to May 24.
Letters are mailed to eligible students with route information two weeks before the start of the school year. Call your school as soon as possible for registration procedures and office hours. See registration procedures for information about what to bring with you when you register your child. If your child is continuing at the same school, you can register online through ParentVue! The May 24 transportation deadline is only for students who will be attending a different school next year or who have changed their residential address. Be sure that your school has your current address. If your address changes over the summer, bring proof of residence for elementary and middle school to School Community Services, 1010 E. Tenth St., Building B (520-225-6400). If your child will be in high school, bring proof of residence to the high school. If changes occur after May 24 (such as a change of address or a decision to attend a different school), then transportation may not be available for your child during the first three weeks of school. 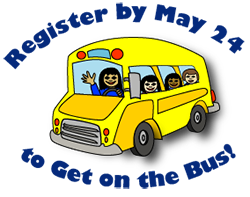 Parents/guardians are responsible for providing transportation for students who are registered at new schools after May 24. We will inform you of your bus stop assignment as soon as the information is available. Students must be eligible for transportation in order to receive transportation services. For enrollment questions, call your school or School Community Services, 520-225-6400. For transportation questions, call TUSD Transportation, 520-225-4800.